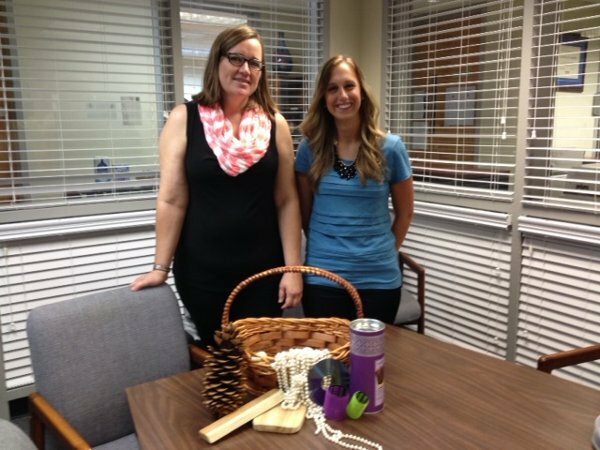 Dr. Laura Wilhelm and OCU Student Hope Wiggs completed a summer research project on early childhood education. In a mixed methods study, this research duo observed the effects of "Heuristic Learning" by having preschool children manipulate objects that would be unique to the touch and indeterminable use. Children would be asked to used their imagination as to how the objects could be used as toys. The results lead to a research paper and conference presentations. Hope also participated in the annual OCU Poster Contest.